I knew April was going to be a difficult month. 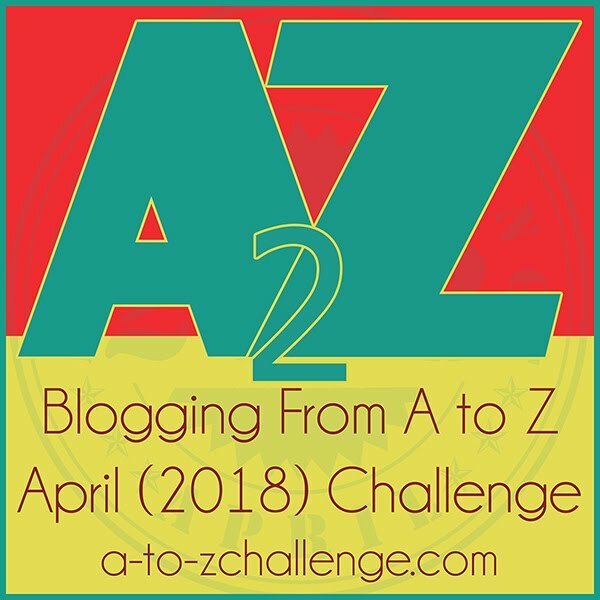 My full time job was going to be getting our house ready for the market and there was not going to be time for researching blog posts or coming up with clever (worthwhile) subjects. 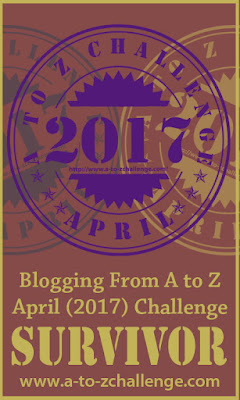 But I did not want to forgo the famous A to Z Blogging Challenge, which I have come to view as my April habit. The only solution was to blog about what I was going through and knew best. It turns out that it was not only the easiest subject to write but it also helped me to vent a lot of frustration and angst. I didn’t go in for every bell and whistle offered. I skipped the daily logos, opting for the general one which stayed on my sidebar. I didn’t use a lot of hash tags, which I would have if I had been more familiar with Twitter and other social media sites. I thought the master list, and the daily lists were easy to use and not at all time consuming. I posted often on the night before since the list was always open at the earliest time zone. I never missed a day. It was probably my easiest year. My theme was not one that garnered as much interest as other years, but I did find a few friends and appreciated them all. I had interesting comments and I think I answered them all. I was able to read some, but not nearly as much as I wanted to. I have a catch up goal of doing two or three a night for the next month. I like that the lists give each blogger’s theme or category, although I don’t just read the categories that match mine. If ever selling our home, I’ll be sure to remember all your great insight and refer to it 🙂 Glad you were able to make it an easy theme with all you had going on. I’ll be catching up too since I wasn’t able to read every post on all the blogs I visited. Just not enough hours. Kudos to you Shirley for even playing in A-to-Z during such a hectic time, and congratulations for finishing the challenge AND getting that “for sale” sign up. That’s a lot to celebrate, and hopefully the “sold” sign will be forthcoming soon. Thanks for reading and the support. Good meeting you over the course of the challenge.